Health officials in Grenada have confirmed that the country has reached the required number of cases where it can declare that there is an outbreak of conjunctivitis otherwise called Pink/Red Eye. The Epidemiology Unit in the ministry which is headed by Dr Shawn Charles, shared the information with senior members of the ministry, as the reported number of cases has reached the designated levels that constitute an outbreak locally. “With respect to the currently increased incidence of this syndrome, the ministry is reporting 41 cases in total throughout the entire island from the period January to August 2017. However, during the 1st week of September, a total of 40 cases were identified in 1 particular health district setting off red indicators,” said a news release disseminated by the Government Information Service (GIS). On 7 July, health officials reported that they were actively monitoring an outbreak of conjunctivitis in the region. At that time, the number of cases in Grenada was very low and was not a cause for concern, based on regional and international standards. 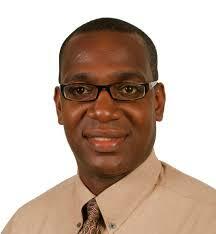 Senior Medical Officer Dr Francis Martin said that the current outbreak is viral and can be transmitted by person to person. “There is absolutely no evidence or confirmation that the outbreak is airborne,” he said while calling on the general public not to touch their eyes because the infection is spread by directly touching the eyes. He stressed the need for individuals to prevent the viral transmission by practising proper and regular hand washing to avoid becoming infected. 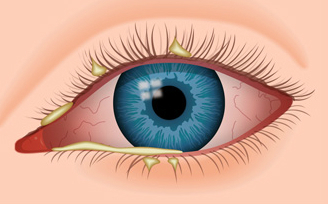 Conjunctivitis is redness and swelling of the conjunctiva, the mucous membrane that lines the eyelid and eye surface. The lining of the eye is usually clear. If irritation or infection occurs, the lining becomes red and swollen. 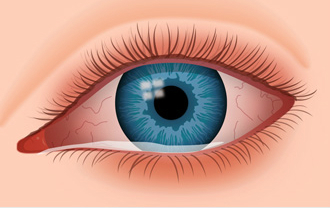 There are 3 different types of conjunctivitis — Viral, Bacterial and Allergic conjunctivitis. Bacterial conjunctivitis: A sticky, yellow or greenish-yellow eye discharge in the corner of the eye. In some cases, this discharge can be severe enough to cause the eyelids to be stuck together when you wake up. One or both eyes can be affected. Allergic conjunctivitis: Watery, burning, itchy eyes; often accompanied by stuffiness and a runny nose, and light sensitivity. Both eyes are affected. The treatment of pink/red eye depends on the type of conjunctivitis. In viral conjunctivitis, it will run its course over a period of several days, and no medical treatment is required or indicated. A home remedy of applying a cold, wet wash cloth to the eyes several times a day can relieve symptoms. 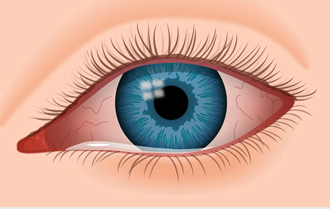 A doctor will prescribe antibiotic eye drops or ointments to treat bacterial conjunctivitis. While for allergic conjunctivitis, allergy medications often can help prevent or shorten bouts of flare-ups, but sometimes these medications must be started before either allergy season or allergy flare-ups begin. Senior Medical Officer Dr Francis Martin said that the current conjunctivitis outbreak affecting Grenada is viral and can be transmitted from person to person.